For the road ahead, whichever way you choose to budget your purchase. 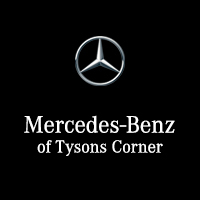 Welcome to Mercedes-Benz of Tysons Corner’s Automotive Finance Center! Preferred Purchase is a comfortable approach to car-buying with options and flexibility. Browse our inventory online to find the perfect vehicle for you. Click the “Preferred Purchase” button to start the buying process. Have a quick question? Want to ensure the vehicle is in stock? Use “Chat” to talk to a member of our team right away and we will be happy to answer any questions you may have. Buying a car for the first time? First experience with our brand? Sometimes it is easiest to just give us a call. We are standing by to help any way we can. Don’t feel like talking to us just yet? No problem. Use Preferred Purchase Online to get acquainted with your purchasing options from the comfort of your home. While online, value your trade in, explore current programs and incentives, view estimated finance and lease payments, and get pre-qualified.